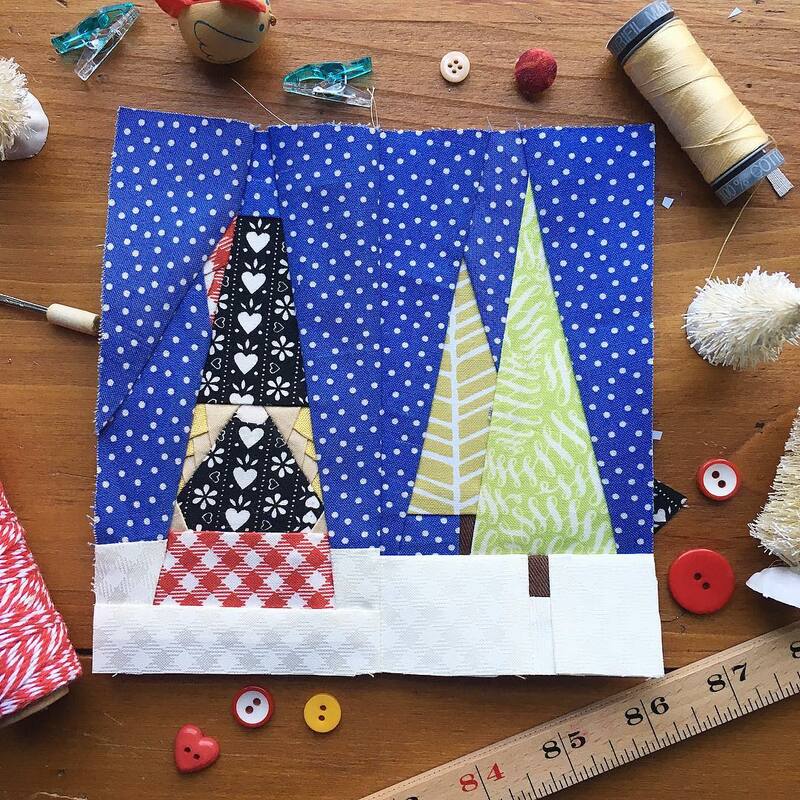 When I started making these blocks, I did not realize that I would become addicted to them. These special little Tomte are all made with a pattern by Sue from Moss and Lotus and can be found by visiting here. Each of the ladies and gents come to life while creating them. They are all so individual. I am pulling from my stash for the blocks. It is a variety of whatever comes together. They all seem to have one thing that pulls me in and then I build from there. 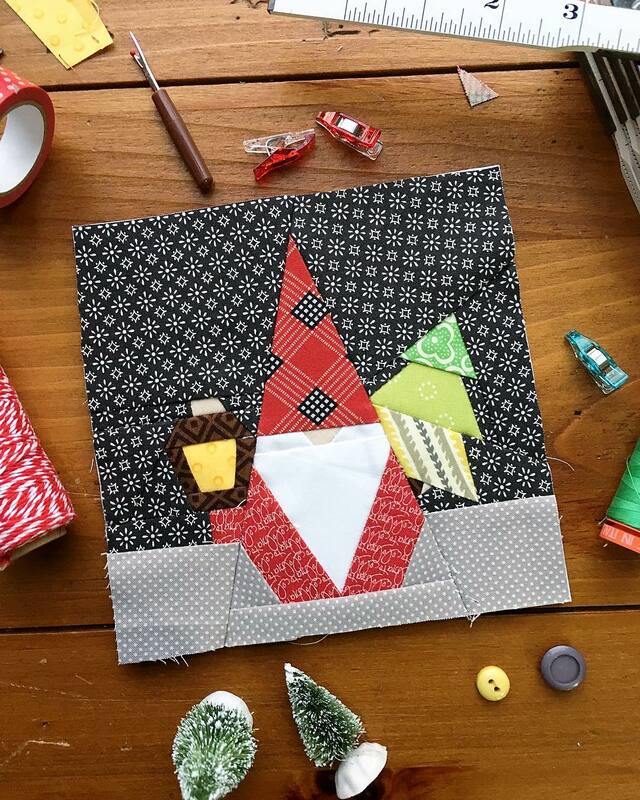 I am stitching all of these paper pieced blocks using Aurifil 50wt thread. 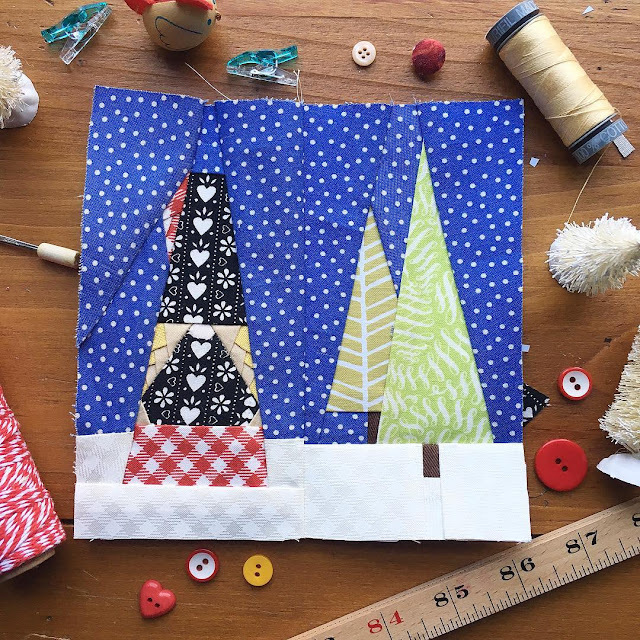 The thin thread helps to keep the blocks flat! That is something everyone LOVES!!!! Nikolai is a planner. He planned ahead for the collection of fireflies needed to get him through the Winter months as he knew they would be an absolute necessity for his upcoming tasks. In December under the cloak of dark skies, one night out of the year, he packs up his special craftsman's items, puts his fireflies in a lantern and heads out to secretly give gifts to the villagers to show his appreciation of those that are particularly kind or generous to others. Today I made the first of the ladies of the village. Klarissa made her own ensemble from bits and pieces of what she had in her home. The black fabrics are vintage flour sacks and she grabbed little bits of red to bring it all to life. Although her given name is quite lovely she prefers to be called Klare. She is a simple girl with her nose in a book and her hands in the 🌏. Klare has no time for frivolous activities nor romantic involvements with the villagers. Many of them are nar do wells or Tinkers ( as her Irish relatives would say). There was that one boy, many years ago now, named Franke but he became quite the rebel ( so she has been told) and has taken to motorbikes and wearing silly dots! Of all things to wear...DOTS! You can see that I am more than a little taken with this entire community of Tomte. 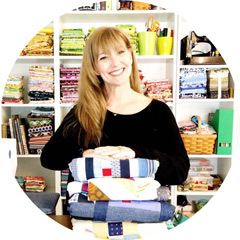 I will be making more leading up to Christmas and I would love for you to join me on Instagram ( I am gogokim) where I post about all kinds of sewing and other things because my life is much more than sewing ( but not by much). so cute!! I go to see the pattern! Adorable block and love the story. Was there supposed to be a link to the pattern?